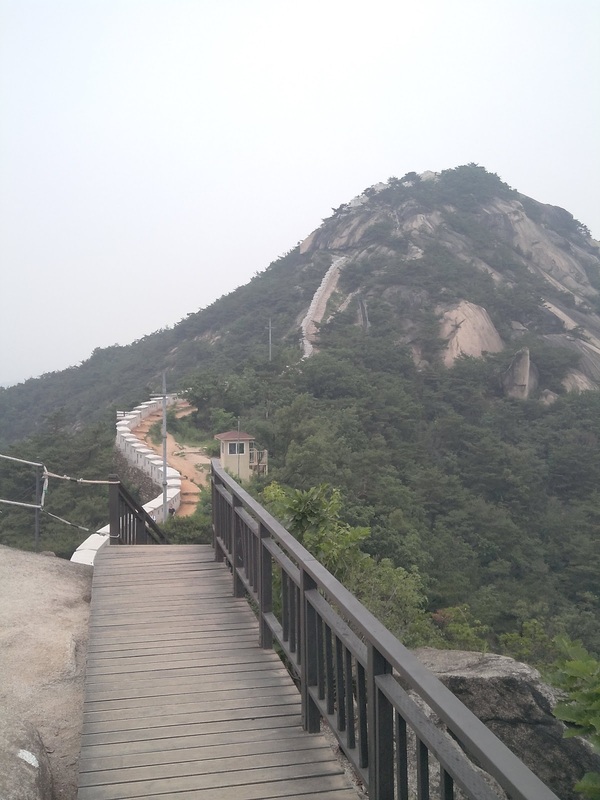 Four of us climbed Inwangsan on Saturday. This is another portion of the Seoul fortress wall, but not nearly as well marked and with much less guards protecting the Blue House. We started out near Dongnimmun Station and made our way east to Buam dong. The hike only took about an hour and a half. Although we were only about 330 meters up, we had some great views of the city. This blog post is mainly just to share this nice panorama.